In churches across our nation, the time has come for crucial conversations about the future of each congregation. As churches face the realities of changing communities, demographic shifts, unexpected ministry opportunities, and financial challenges, their continued effectiveness demands difficult conversations about mission, vision, and use of resources. Most pastors are not equipped to lead these discussions. Even those who realize the need are often either untrained to do this or unwilling to do so. Our programs of theological education rarely train ministers to lead these crucial conversations. Seminary training does several things well. First, it tends to strengthen the spiritual foundation of the potential clergy person. Second, it equips the minister to exegete the scriptures and deliver sermons competently; however, the topics of such sermons tend to address matters of personal development rather than community engagement. Third, it trains the minister to provide pastoral care for congregants, especially in times of crisis, death, and family transitions. For the most part, seminaries have failed to train clergy to facilitate meetings, develop staff, problem solve, or engage the community. There are exceptions, of course, but they have emerged only in recent years. Some Doctor of Ministry programs address these issues very effectively. 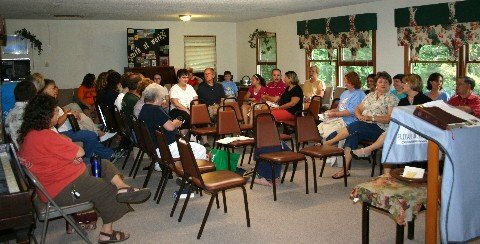 The other observation is that most ministers don’t want to engage their congregations in these crucial discussions because they are messy, they upset the equilibrium of the congregational system, and the pastor is usually the one who is blamed for any outcome that will require changes in the church. When a church realizes that it is in decline or crisis and must have this crucial conversation, members may turn to an outside consultant--either from the denomination or another source--to walk with them through the process. This can be very helpful, but only if the congregation is committed to engage, makes hard choices, and then implements these decisions. 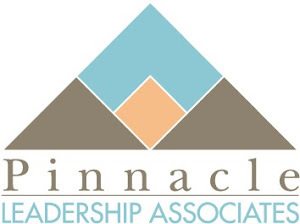 Although the consultant may coach the pastor or leadership team through the time of transition, there comes a time when the local people have to step up and exercise self-leadership without the assistance of the consultant. The most effective coach/consultant is one who will help the pastor or leadership team to develop the skills to facilitate the difficult discussions themselves, to implement the changes, to deal with the consequences, and foster a culture that embraces continuous improvement. This is an approach to church health that benefits all of those involved. Crucial conversations about change and changes are never easy, but we must find ways to have them. This is the way that the church moves forward. The new Marvel Studios film Black Panther is epic. Director, actors, screen writers, custom designers, and production team have created an engaging and dramatic story that will challenge many of our perspectives. In this blog, however, I will not provide a review of the film but comment on one significant insight. Without giving too much away, early in the film a man is killed. He is the father of a young child who is ignored and left behind. The child is a royal prince of the kingdom of Wakanda, and this abandonment will have tragic consequences in the future. This event reminded me that we are leaving too many children behind and abandoning them to poverty, disease, ignorance and violence. This is true not only in other countries but in the United States as well. When it comes to economic status, the Washington Post reports, “In the richest nation in the world, one in three kids live in poverty.” According to UNICEF, one billion children around the world live in poverty; that is every second child. Children are often the objects of violence, whether it is abduction and enslavement by rebels and criminals around the world or school shooters and neighborhood killings in the US. Legislators in the US fail to budget adequate funds for education for children and limit the time that teachers can spend with students, making a mockery of our educational system. Other countries often excel in childhood education due to their commitment to provide proper funding and staffing, an investment in the future of their nations. We should listen and act. One of the most satisfying and (I think) productive times of my ministry was when I was selecting, supporting, and supervising a state-wide team of collegiate ministers. I enjoyed the synergy, collegiality, and fun of that experience. 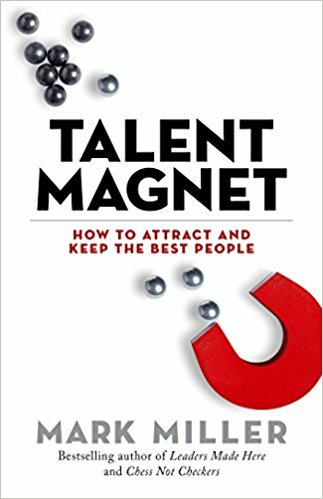 As I read Mark Miller’s new book, Talent Magnet: How to Attract and Keep the Best People, I recognized things I did well in that setting and learned some things that I could have done better. Why concentrate on attracting top talent for your organization? Miller provides a number of reasons, but the key point is that top talent helps to create a dynamic organization. The best people make your organization the best it can be whether it is for-profit, not-for-profit, or faith-based. High achievers push all of us to be better at what we are doing. Using the “business story” format, Miller provides an added twist by not only telling the story of a company but also the story of teen-agers looking for summer jobs so that they can do contribute to a charitable project with their earnings. Miller identifies three key motivators for top talent in both situations as Better Boss, Brighter Future, Bigger Vision. These are the factors that high achievers seek in the organization. As attested by recent research, it is not all about the money! Miller addresses two key items that many organizations avoid facing. First, do you really want to tackle this issue and invest the time and resources needed? One character in the narrative states it very simply: “We only solve the problems we intend to solve.” The decision to seek the best people as a means of becoming a better organization must be intentional. This does not just happen. If your organization wants to hire the best people, this must be a clear and non-negotiable goal. Second, we must acknowledge that people in our organization, especially high achievers, are thinking about their own futures. As one person says, “[T]hey want to know how working here will make them more employable down the road.” While they are contributing in their present setting, they are committed to their own career journeys. Miller reminds us that there is nothing wrong with this motivation as long as the person is providing good service to their present employer while they are developing new skills. Employees who think of each job as a learning opportunity are usually very highly motivated. This is the third of Miller’s books on developing high performance leaders. All of the books in the series can greatly benefit an organizational leader. Based on sound research and extensive interviews, the book shares workable principles in an easily accessible format. I also recommend Talent Magnet: Quick Start Guide as an additional learning tool. What are the Qualities of a Coaching Leader? 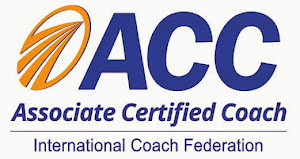 Why Be a Coaching Leader?